Communicating with our deaf and hearing-impaired passengers is as easy as A, B, C thanks to driver Sharon Wenington, who has shared simple cues showing the British sign language alphabet and basic greetings in picture form. Sharon, who works at our Chester-le-Street depot, has been driving since 1997 when she first passed her test with Go North East. As the equalities representative at the depot, Sharon has been looking at ways to engage with all customers and ensure they feel included. Having been fascinated by sign language since undertaking Go North East’s deaf and blind awareness training, she recently completed a level one sign language course, attending one class a week for three months, in her spare time. 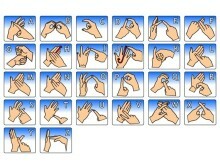 The mother of three from Stanley thinks it will be useful for other drivers to know some of the sign language basics. She explains: “It’s nice for the passengers to be understood and little actions like this go a long way. 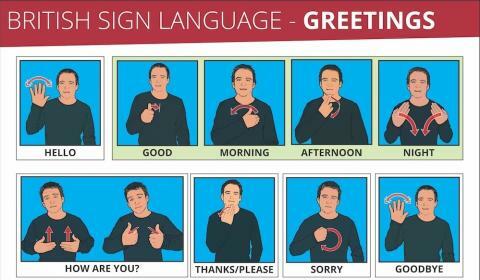 Knowing some sign language can also help avoid potentially embarrassing situations. Hearing loss is a major public health issue in the UK, estimated to affect over 11 million people – a figure which is expected to rise to 15.6 million by 2035. Go North East managing director Kevin Carr, adds: “With over 24,000 people using sign language as their main form of communication, Go North East is committed to helping our customers make everyday tasks, like getting the bus as easy as possible.